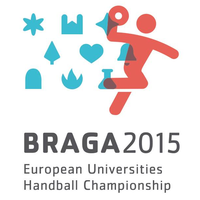 The 8th European Universities Handball Championship for men’s and women’s teams will be played in Braga, Portugal between 2 and 9 August 2015. The event will be hosted by the University of Minho, which has already gained experience in the organisation of major student handball events, having hosted the 22nd World University Handball Championship in 2014. Parallel to the championships and as part of a cooperation agreement signed with the European Universities Sports Association (EUSA) in 2012, the EHF is supporting the event through the organisation of a clinic for young referees. Further information on university sport can be found on the EUSA website.